Ford says the Ka+ (shown) has class-leading front headroom and rear legroom. COLOGNE -- Ford unveiled a larger, revamped Ka hatchback with five doors called the Ka+ that offers greater roominess and functionality than the current Fiat 500-based, three-door model. Underpinned by Ford's global small-car architecture, the Ka+ will also offer improved handling characteristics of the Fiesta subcompact, a quality the previous generation lacked, according to officials because it was built off the same platform as the Fiat 500. At just under 4000mm long, the Ka+ is slightly shorter than the Fiesta but 29mm taller. The Ka+ offers 270 liters of luggage space, enough to hold two large suitcases, as well as 21 stowage areas for small items throughout the cabin. The Ka+ will target value-oriented consumers less interested in design but keen on a lot of interior space and a high level of amenities that come standard, including air conditioning. Ford said the Ka+ has class-leading front headroom and rear legroom. "Choosing a compact car should not mean having to compromise," said Darren Palmer, Ford of Europe's small-car vehicle line director. He said the Ka+ delivers the "style, space, advanced technology and refinement that European customers want." The Ka+ will be sold with a 1.2-liter gasoline engine mated to a five-speed manual transmission with 69 hp or 84 hp. It comes with Ford's SYNC voice-activated communications and entertainment system and Ford MyKey. Options include electronic climate control, cruise control, heated front seats and rear parking sensors. The Ka+ will start at 9,990 euros in Germany and 8,995 pounds in the UK, Ford said. Ford will import the Ka+ into Europe from India. It will replace the current model built by Fiat in Poland. European sales of the Ka fell by more than 8 percent last year to 48,600 units, according to JATO Dynamics data. 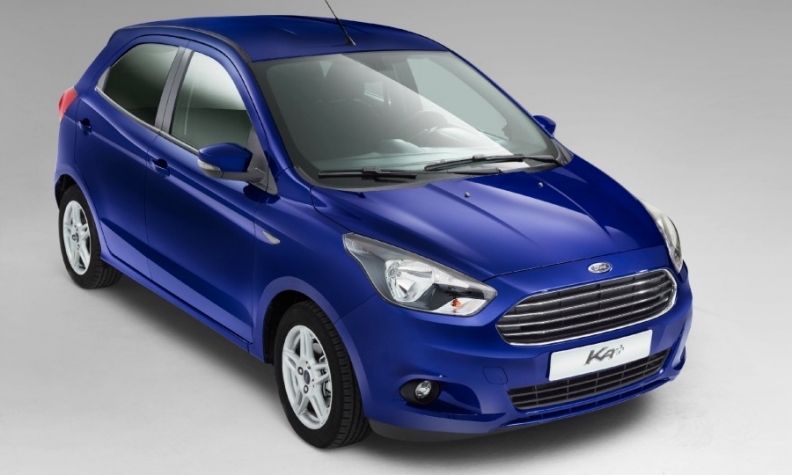 The Ka+ will be available to order starting June, Ford said in a statement.